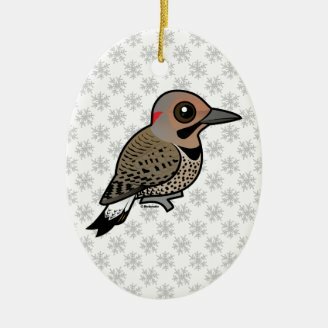 Today our Birdorable Bonanza: 2015 Advent Edition continues with a New World woodpecker: the Northern Flicker! 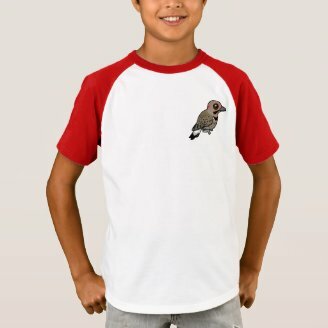 The Northern Flicker is a fairly common and widespread species across its range and can be found across North America. There are two living subspecies: the yellow-shafted and the red-shafted. Yellow-shafted flickers show yellow under the tail and wings; these are found in the eastern part of the range. 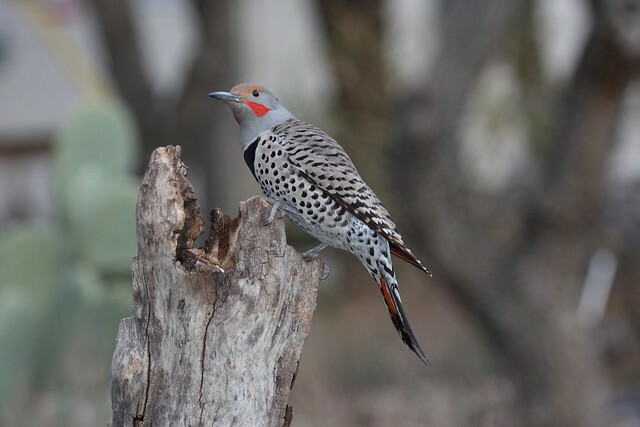 Red-shafted flickers are found in the west and show red under the tail and wings. In the past, these subspecies have been considered completely separate full species. The closely related Gilded Flicker was formerly also considered to be the same species as the Northern Flicker. 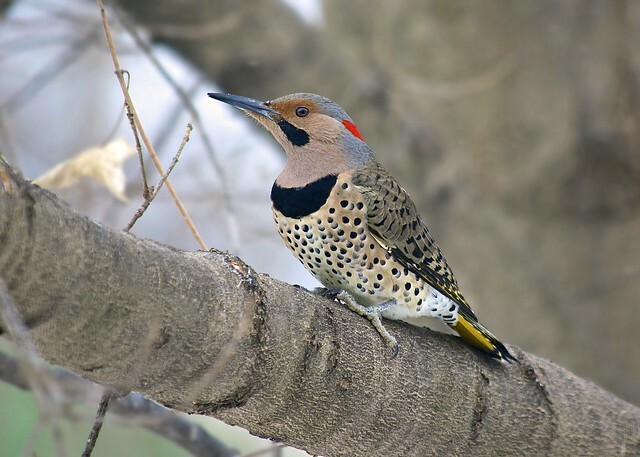 Unusual among woodpeckers, the Northern Flicker can often be found feeding on the ground. 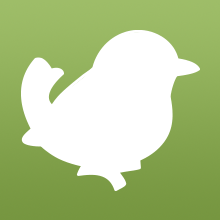 They like to eat ants and other insects which they forage by probing the earth with their beaks. 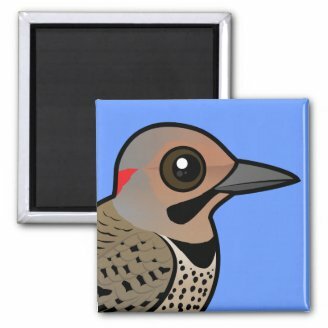 The Northern Flicker is our 626th Birdorable bird. 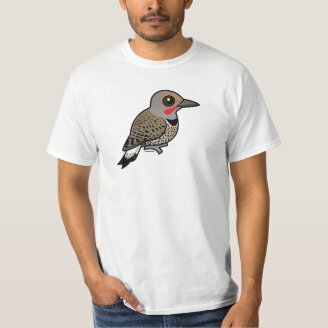 Be sure to check out our collection of apparel and gifts featuring the Birdorable Northern Flicker! Our Bonanza continues tomorrow with a small and very colorful flycatcher of South America. Can you guess tomorrow's species? 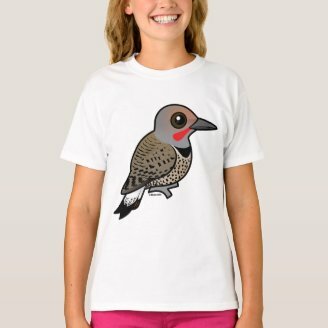 4 comments on "2015 Bonanza Bird #10: Northern Flicker"
u really need the the black gulimot sometimes. OKAY!